DRS Acquisitions Company Profile | DRS Acquisitions, Inc.
Our call center TSR’s (Telemarketing Sales Reps) and supervisors are from rural Sauk Centre, MN and the surrounding communities. They bring small town values and a strong work ethic to our organization and years of experience to your telemarketing program. The management team at the call center is backed by over 60 years of combined telemarketing experience! 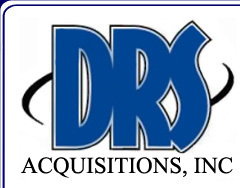 As a client of DRS Acquisitions, Inc. you won’t just have access to one account manager you will have access to the complete management team from the President of DRS Acquisitions, Inc. to the Client Services and Call Center Supervisors. This team will work with you from list acquisition and data integration to campaign & script development ensuring the success, of your telemarketing program. The experience doesn’t stop there. Many of our employees have celebrated 5 and 10 year anniversaries with the call center. The longevity of our telemarketers is the sign of a telemarketing services company that hires and trains employees who want to succeed and turns them into successful telemarketers. The initial training program provides our TSR's the critical skills that are needed to interact effectively and professionally with your customers and prospects. Through on-going development and coaching, our Telemarketing Sales Reps are taught active listening skills and techniques to overcome objections. They are given training specific to your marketing program so that they can make personalized sales presentations and demonstrate how a customer’s needs can be satisfied with your product or service. Whether it’s Business to Business Telemarketing (B2B) or Business to Consumer Telemarketing (B2C) you will find that our neutral, mid-west accent; coupled with a friendly, professional approach creates a positive experience for your clients and prospects, resulting in increased productivity and proven results!